Exciting news - Haggadah Masortit is now officially for sale! 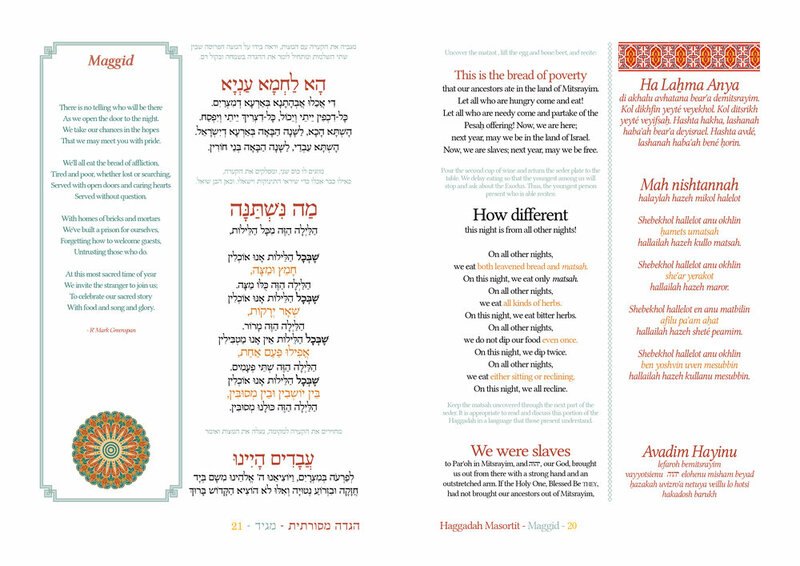 Although not animated by the same pan-Sepharadi ethos of Siddur Masorti, the Haggadah is inspired by the same aesthetic (uses the same page layout) and utilises many similar features. You can purchase it in a small size (A5, $18) or a large size (A4, $24) in full-colour, with shipping available worldwide. As we continue to move towards completion with Siddur Masorti, I hope that the Haggadah is both a welcome addition to the project and an enriching element of your own Pesaḥ sedarim. Ḥag Kasher veSame'aḥ!